The Bureau of Fisheries and Aquatic Resources (BFAR) is leaving no conservation stone unturned if only to finally embark on the gargantuan task of protecting an endemic fish species of Cagayan Valley, perceived to be at the brink of extinction. Like the tamaraws of Mindoro and the Philippine eagle of Davao, Ludong (Cestraeus plicatilis) should not be allowed to go extinct as it is considered a national treasure, according to Agriculture Secretary Proceso Alcala. “We should not allow it to go the way other species went as it is nature’s gift to us. If we do, it will be a loss to the present and future generations,” Alcala said during the launching of the Oplan Sagip Lusong last year. It’s a tough job for the fisheries agency even if the present dispensation has approved the 6.5 million pesos initial budget for the project now based at the Regional Fishermen’s Training Center in Aparri, Cagayan. “This is the second attempt of the government to protect the species,” Oplan Sagip Ludong project leader Evelyn Ame said. In 2000, BFAR initiated the first Oplan Sagip Ludong which was based in Dagupan, Pangasinan, to conserve the species and breed them in captivity. However, the agency admitted the project did not fully meet the objective considering perhaps the distance of Dagupan from Aparri where most of the spawners are caught. Efforts to regulate the catch started as early as 1952 with the issuance of Fisheries Order (FO) No. 31. This order prohibits the capture, purchae, sale, preparation and serving of the fish for private and pubic consumption during the months of October to January as these are on their spawning migration. It likewise prohibits the use of tabukol, tabak or pateng along the Cagayan River and its tributaries including the Santa-Abra river system in the Ilocos. However, the order caused an uproar among the fisherfolk that the government was forced to lift the first FO on Ludong. In 1982, Director Jovita P. Ayson said Fisheries Administrative Order No. 139 established a close season of five years to catch, take, sell, possess and transport mullets in all inland bodies of water in the Philippines. The province of Isabela followed suit that in 1997, its Sangguniang Panlalawigan issued an ordinance similar to that of the 1982’s, only that the penalty of 5,000 pesos and imprisonment of not exceeding one year was considered too low. Under Republic Act 8550, otherwise known as the Philippine Fisheries Coce of 1998, it states that rare, threatened and endangered species shall be protected. The task was given to BFAR through the Department of Agriculture. During the issuance of these orders and Republic Act, no one was found guilty of violating them, thus conservationists believed the culprits were having their honeymoon. Director Ayson lamented that while Fisheries Administrative Order 208 was issued for the conservation or rare, threatened and endangered species, only species listed under the Convention on International Trade and Endangered Species were included. It was a big blow to BFAR as ludong was not one of them. Even FAO No. 16 of 2001 did not help as its main prohibition was only on obstruction to navigation and does not include disturbance on the migratory path of the fish. Unfaxed, stakeholders of Oplan Sagip Ludong has proposed for the amendment of FAO 31 where a stiffer penalty of 80,000 pesos and or imprisonment of six months and one day to eight years will be imposed. “The penalty plus the revocation of the fisherman’s permit will make them think twice,” Ayson said. Ayson sits as the chair of the Ludong Task Force with the various governors of the region’s provinces as vice chair. She said that the conservation and protection aspect of the project falls on the shoulders of the provincial local government units as they are expected to enact local ordinances adopting the soon-to-be issued amendments to FAO 31. The Philippine Information Agency remains chair of the Information Education and Communication (IEC)/advocacy committee. In the next few months, DA-BFAR, the academe, LGUs and other stakeholders will have their hands full as the Oplan is guided by an agreed direction to attain its mission. Dr. Evelyn Ame said in-depth and thorough research to serve as basis for breeding the species and in the implementation of conservation measures to save the fish from extinction will be conducted. This early, five proposed research activities have been identified and approved by BFAR for immediate implementation including the Ludong’s taxonomic identification, genetic structure, characteristics, marketing and soil and water assessment. Comment By Leo Tuason, M.D. I was very young when my father would bring home from his upland ‘(sursurong) trips a fish, much larger than bunog, palileng or paltat called ‘ludong’ a special treat for the family. took during his trip… it includes the municipalities of Tineg, Buneg, Lacub, and Mataragan also called the ‘mining towns’ of the province. the fish ludong come from”. These words stuck in my mind for years. To make the story short…I appproached the Purdue University Agriculture Extension Office to identify a certain fish for me. Yes, they could help me if I could bring a picture/ photo of the fish. I took picture of a fozen fish (ludong) I brought out from Cong. Chito Bersamin’s refrigerator who was residing in the Bersamin-Purroganan Ancestral Home at the time when he came to visit Bangued after a grinding schedule at the Congress. I presented the photo to the Purdue Univ. Extension Office. The photo of the fish they were looking at is a member of the herring fish family…one of the ‘migratory fishes’. I later learned that most of the on-lookers were incharge of the fishery Department of the University. One of them said, the fish is a ‘SHAD’ At this point, they all agree.. its a SHAD. I asked them. “If its a shad found in the Atlantic Ocean, would it be the same shad in the Pacipic Ocean? They all said, “yes”, this family of “herring” are the same all over the world…like seals or whales, the same all over. Shad are found in the Atlantic Ocean along the East Coast of the United States and Canada. SHAD is an ANADRAMOUS fish species, they spend most of their life at sea, and migrate into rivers to spawn. both tributaries of the Abra River ring a bell. The government is ordering a ban on the catching the country’s priciest fish known as “Ludong” or “President’s Fish”, to protect the species from becoming extinct, a government officer said. The Fisheries Bureau is expected to issue a directive to halt the fishing of the oversized variety of the banak. Experts said the species usually spawned during the last quarter up to January of the following year. Ludong is endemic in the Philippines and can only be found in Cagayan and Abra with reported sightings in Chico River. Also known as “Northwest Pacific Salmon”, it fetches between P4,000 to P5,000 per kilogram. The Bureau said continued quarrying for sand near or from the river beds disrupted the spawning habits of Ludong contributing to the steady decline on top of overfishing. Sand mining has been reported in Lallo and Camalaniugan towns. What makes it the most sought after table fish among gourmands? Liberty Baculi, who grew up in Baggao, Cagayan, before migrating to the United States, said the eating quality of the fish is incomparable. “Besides the unique taste, it has a very appetizing langhap (aroma) when it is cooked,” he said in an e-mail interview. Baculi said well-heeled connoisseurs usually made use of the grapevine to place orders to avoid being identified and risk being kidnapped by criminal syndicates. “I would not be surprised if a taipan would want it served steamed for a 14-course lauriat at a very private gated enclave,” he said. TOPIC/ ARTICLE DEDICATED TO ABRENIANS & NON-ABRENIANS, PEOPLE WHO WISHES TO LEARN:…. SUBJECT/ ARTICLE: LUDONG, FISH ‘ICON’ OF THE PROVINCE OF ABRA. Prepared By: Dr. Leo Tuason (Native of Bangued, Abra, Philippines— Now U.S. citizen and residing in Indiana, USA). There are 2- HOWs that we must and shall be dealt with in this SUBJECT…. 1. How the fish Ludong can be ARTIFICIALLY PROPAGATED. 2. How the specie Ludong can be PREVENTED FROM EXTINCTION. The Following EVIDENCES substantiate that the Fish Ludong Exists in Abra Rivers. 1. In the 1930’s, my father Don Mariano Tuason, right-hand friend and confidante of Don Quitin Paredes who was at the time bidding for a seat as an Assemblyman (Reapresentative) in the Philippine Congress during the US Government “tutelage/ guardianship” of the Island Archipelago (the Philippines attained its independence from US in 1946, after WW II which ended in 1945). Abra…… Don Quintin Paredes..a Lawyer..1st Phil. Ambassador-post War Title to US. of the Pilipino Language ‘Tagalog’. Ilocos Sur. Don Epidio Quirino… Lawyer, who later became President of the Phillipines. Rizal …. Don Manuel Roxas…Lawyer, who later became the President of the Philippines. Tayabas .. Don Manuel L. Quezon Lawyer, who later became the 1st Phil. President. Let us analyze the Abrenians who wishes to be Candidate for Government Offices with the bane hope to lead the Province to greatness… No names shall be mentioned here, but most are…considered by many as… MEDIOCRE, ORDINARY RUN-OF-THE MILL, INFERIOR with mimnimal education, UNFIT, CORRUPT,(obtained un-explained wealth and undeclared possesions for BIR-Bureau of Internal Revenue to audit), people who are totally without conscience. Some candidates are ‘politicos’, who have been in office but held their posts inefficiently and showed incompetency. I regret to say, but the truth is disturbing…the Website attests to the validity of the facts. Dons Quintin & Mariano, went to the up-lands/ sursurung of the Province of Abra during their political campaigning…in the mining towns of Tineg, Buneg, Lacub. My father would bring home to Bangued, died fish which he called “Ludong”. DRIED fish which he called “Ludong”. In the year 2002 I went to Bangued during the hot month of the year to attend the funeral of bro Isis. After the funeral, I visited the house of Cong. Chito who was at the time in Manila Congress. To quench my thirst, I went to his refrigerator and found a can of Coke, and my curiousity opened the Freezer and found a frozen fish, which I thouht would be ideal to take a photo of the fish to bring home to the US for identification. at a fish called “ATLANTC SHAD”… This fish specie abound the Atlantic coast-line from Nova Scotia, Canada to Florida, USA. My next question to the Fishery Biologists… “Is the Atlantic Shad the same as the Pacific Shad? … their answer was YES… the fish specie SHAD are the same all over the world… but the NAME differs in other nations. With this gathered information, I went to the local Library and did a research on “ATLANTIC/ AMERICAN SHAD”. at a dinner honoring the President of the Philippines; the same fish found in the river system of Abra, River systems of the provinces of Cagayan, Isabela, Neuva Ecija . All these rivers empties into the Pacific Ocean…these fishes could be considered as PACIFIC SHAD ). SHAD are anadramous fish specie that spend majority their life at Sea/ Ocean and enters the fresh-water (river) to spawn. They are water-specific meaning, those rivers that empties into the South China Sea like the ABRA RIVER, the rivers of the provinces of Cagayan, Isabela and Neuva Ecija empties into the Pacific Ocean…whose water-ways is contiguous with South China Sea (Abra) where these fish spawn in the rivers of their birth. that frozen fish I took a photo from Cong. Chito Bersamin’s refrigerator in 2002. It has dark spots on the shoulder, a saw-like scales “scules’ along its belly. The female lays eggs into the water 30,000 to 600,000 at the spawning area of fine sand bedding. As the eggs are deposited, the male fish follows and sprays its sperm over the eggs. Fertilized eggs are carried by the river current and hatched within 7 to 10 days. The juveniles remaining in the nursery eating zooplankton and terrestial insects. They grow to “fingerlings” and now at this stage ready to go the Ocean sea where there is adequate food and they group in ‘school’ to ward off preditors. They mature…sexually matured which may take 4-6 years for females and 4-5 years for males. When the female fish is ready to spawn, they seek the fresh-water river of birth. The search for countries whose river estuary that is connected to the waters of the Pacific Ocean… the provinces of Cagayan, Isabela, Neuva Ecija and Abra has estuary connected to the South China Sea whose water-ways is continguous to the Pacific Ocean. empties to the Bay of Bengal whose water-ways is contiguous to the Pacific Ocean through the Straigth of Molocas into the South China Sea and finally into the vast Ocean. Bangladesh is a 3-rd World Country located between India and Burma. It has an estuary that empties into the Bay of Bengal whose water-ways is contingious to the South China Sea and finally connected to the Pacific Ocean. My research have revealed that Bangladesh has a Fish Shad which the local people call “Hilsa Shad”. and it could be similar to “Ludong” Specie of the Northern Philippines…Bangladesh are both countries whose estuaries have water connections with the PACIFIC OCEAN. That means both countries have the PACIFIC SHAD. For several decades since the early 1950’s, the Philippine Bureau of Fishery & Aquatic Resourses (BFAR) and the able help of the Fishery of the University of Darwin, Australia have been baffled by the Fish ‘LUDONG’ Mystery… because neither of these two great Institutions dare to come forward and say…this is the “LIFE CYCLE OF THE LUDONG SPECEI”. In the absence of the Life Cycle of a specei…land mammal or marine life… the ARTIFICIAL PROPAGATION and PREVEVTION OF THE EXTINCTION of a certain SPECEI makes is IMPOSSIBLE… “Totally IMPOSSIBLE”. At this phase of my “Article”, I’ll try to bring forth my “THEORY” on the subject…”The Life Cycle of the Fish Specie Ludong. 1. How the Specie Fish Ludong can be Artificially Propagated. 2. How the Ludong Specie can be Prevented from Extinction. To tackle these 2-How’s head-on… I must present my THEORY on the “LIFE CYCLE OF FISH LUDONG”(LCFL) … on Ludong of the Province of ABRA. creatures… Marine or Mammals on earth. The main purpose is to SURVIVE. of Species By Means Of Natural Selection”. MY FRIENDS, This is my Theory. If you disagree, please bring out your own Theory and share it with us. My friends, the combination all three phenomena allows us to trace the LCFL of Ludong in the Province of Abra. males for 4 to 5 years, the pregnant female is drawn to the river of birth to spawn followed by the male. The time of the year, I could only surmise during the rainny season (during monsoon months in Asia)… the estuary (the outlet of the Abra River as (the water of the River meets the South China Sea) at Banauang, Ilocos Sur gets flooded. they say…instinctively uses the sense of smell or influenced by magnetic force or lastly by Devine force. Banauang Estuary >>> passing through each municipality >>> San Quintin >>> Laguiden >>> Pidigan >>> Calaba (suburb of Bangued capital Of Abra) >>> at the Barangay of Gaddani Town of Tayum where the Massive Tineg River meets the Voluminous Abra River. The fish follows the treacherous length of the Tineg River till it reaches the ideal spawning area. surounding mountains… Mt. Muji, Mt.Sandig, Mt. Manago, Mt. Macopa. When the Pregnant female Ludong reaches an ideal spawn site in the RIVER TINEG … it deposits its eggs in a smooth/sandy area with minimal water curent movement and the eggs are sprayed with the sperm of the male Ludong…fertilization takes place… the fertilized eggs hatches into larvae in 7-10days. The larvae grows into “fingerlings” (finger-size)…they consume the available food in the vicinity…the time has come when they yearn for more food… the time of the year for them to MIGRATE to the ocean sea where there is abundance of food. The young fingerlings joins the older fishes and forms a grouping called ‘school’ a precautionary measure to ward-off preditors. They remain in this group for 4-6 years to a stage of MATURITY. The above biogical transformation from fertilization..eggs being hatched ..larvae formation..fingeling stage is obtained from American Shad fishery records. My friends, Karruba, Madalaga, and many more… Insti, Barrag, Carlos The Jackal, Engr. Eric Bringas, etc; … are you with me? SYSOP: Is there a way that my ARTICLE is brought to the ATTENTION of Ms.Purita S. Licas, writter of MANILA STANDARD TODAY NEWSPAPER who reported on “Preserving the Presidents’s Fish”…Ms.Licas Article reported on November 28, 2011. “ICON” OF THE PROVINCE OF ABRA. In my previous postings I have made mention that the fish LUDONG abounds the Abra River. both rivers empties into the CHESAPEAKE BAY. New York, Pennsylania, New Jersey, Delaware and Maryland. of the American Shad of the US Atlantic Coast. Animals/Mammals; Marine/Fishes…with an instinct to live. followed by Migration…the cycle repeats it self. 3. DARWIN THEORY OF NATURAL SELECTION: througth the process of ADOPTATION. in fishes, alterations in the river’s salinity or pH. FRIENDS: BOTH ABRENIANS & NON-ABRENIANS, people who wishes to LEARN. two HOWs (I previously mentioned at the beginning of the Article). an artificial manner the “LIFE CYCLE OF THE LUDONG SPECIE”. OCEAN/ SEA for development into Adulthood-Sexual/ Maturation. surely fail… wasting your investments, labor and money. introduced to the Philippines in the early 1950’s. 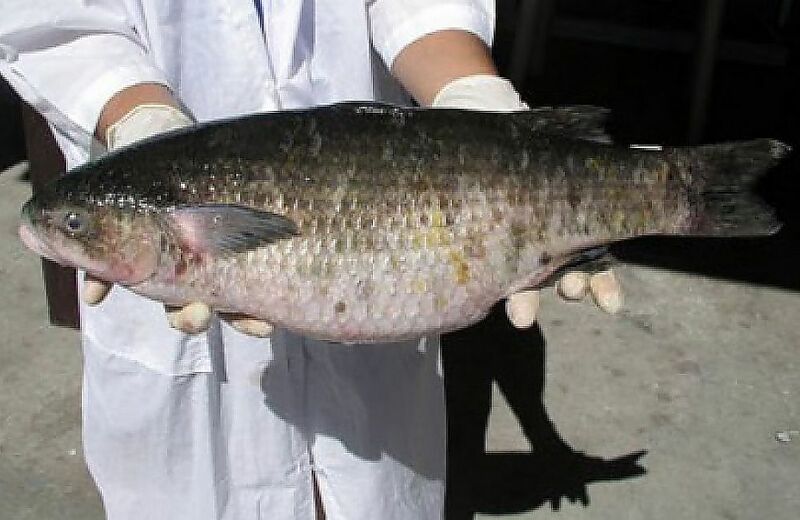 are known as “AMERICAN SHAD or ALOSA SAPIDISSIMA”. transfered/ introduced hundreds of Adult Atlantic Shad into the Sacramento River,US. adult Shad fish in 1873 from the Hudson River, US to the Sacramento River, US. River (B.C). to Stikine (Alaska) down to the Columbia River of Washington and Oregon. Ludong is believe to exists… ABRA, CAGAYAN, ISABELA, NEUVA VISCAYA. All of these “HATCHERIES” shall be under the control/ management of the Phil. BFAR. University of the Philippines (U.P.). NEUVA VISCAYA (provinces where in past the Fish Ludong have been sighted). CORRECTION ON THE PREVIOUS POSTING:..
the ‘funding’ could come from Congressional Appropriation SPONSORED by THE REPRESENTATIVES OF THE 4-PROVINCES. The above ‘Parameters’ are directly related to the “Natural Integrity” of water-ways of the River and Tributaries. All these are reflected by the amount of ‘pollution’ from wastes… human, animal and industrial. The US EPA considers Mining snd Logging the most destructive industries (due to wastes-sediments in the rivers) in the US. which he further said “the fish Ludong is a ‘national treasure’ must not go extinct. (Migratory Abra Igat or Eel). Pollution may come from:.. different sources..
3. Industrial (automotive, paper making, Hospital wastes, etc.). Mining and Logging are the most destructive industries in USA claimed by the EPA. sources are safe to be discharged into the River. Keep posting Doc! Just to let you know your posts are getting a lot of hits on this site looking for information about Ludong. Acis Pere, Director of Bureau of BFAR”. 2. Dr. Anna Marie Leung, SPOKES-PERSON of the STARM ORGANIZATION. people living by the river, animals/birds/fishes making use of the water of the river. bring my ARTICLE/ POSTINGS to the ATTENTIONS of the following:..
Sysop has encouraged me to write more on the Fish Specei Ludong. President and the Bureau Of BFAR towards the Ludong Specei. …the year 2002 ENVIRONMENTAL INVESTIGATIONARY MISSION (EIM), headed by Engr. MArie Leung of the Dept. of Preventive and Community Medicine. The Lepanto Corporate Mining Co. is being blamed for the POISONING OF THE ABRA RIVER. QUESTION: Are there other sources of POISONS /synonymous to POLLUTION?… YES!!! a. Benguet Province… Lepanto Corporate Mining Co. I have 2 related Topics to discuss with you and both possses a question. Topic No. 1: The Prevention of Extinction of Fish Ludong (as Abra’s ICON Ludong). Topic No. 2 : The Prevention of ABRA RIVER’s demise. How can one prevent the Extinction of Ludong and RIO GRANDE DE ABRA’S Demise? and Catadromous (Abra-eel)…do away “FISH-KILL”. or DRAWING VIVIDLY SHOW how the Abra River gets polluted. I must send this drawing/illustration to you by US Postal Mail for you to post. current address via the A.com WEBSITE or my Email address… Thanks). YOUR ADDRESS GIVEN TO ME by our friend Engr. Vic Baula during the 1st L.V. of the Specei Ludong…for you to post on the Abrenian.com Website. Please confirm you got my mailing address via email? “ABRA RIVER and POTENTIAL SOURCES OF POLLUTION”. Please post it on your Website. 1. Ms. Purita S. Licas, writer of the Manila Standard Today Newspaper. 2. Dr. Ann Marie Leung Chairperson, STARM. 3. Members Of the CONVENORS of the STARM Organization. 4. People of the BUREAU of BFAR. It could be an interesting ‘read’ to these people. First… There are four Provinces that are physically connected with the ABRA RIVER. The Provinces must be responsible for the integrity of the RIO GRANDE DE ABRA. Second… Each province must see to it that they do not POLLUTE the River. FOURTH … STARM ORGANIZATION TO HELP IN THE MONITORING OF THE RIVER’S NATURAL INTEGRITY. your province… your province shall be held accountable…penalty imposed. RIO GRANDE DE ABRA (Grand ABRA RIVER). CAN IT BE SAVED. ADDENDUM;.. Correction on previous posting…. take their animals… carabaos, cattles for a bath, and people to swim. Folks, its not safe NOW to eat anything raw -shrimps from the river. shrimps eaten raw with juice of freshly SQUEEZED calamansi. A RIVER is safe and healthy when it (river) can sustain aquatic life (fishes/shrimps/plants). 1. LIFE CYCLE (my theory). The same G.C. is given to Fish Shad of… USA- ATLANTIC SHAD and PACIFIC SHAD. POSSIBLY ‘LUDONG’ of the provinces of Abra, Cagayan, Isabela, Neuva Ecija of Northern Luzon , Philippines. For each SPECEI, in order to SURVIVE they must MIGRATE to find food-water for some, specei to CONTINUE maturation – mating (reproduction) and attain ‘gestational stage’. Land-Mammals..(example)…CARIBAO–animal, native of NO. America, herds of these animals migrate seasonally between winter-spring-summer to lush green pasture region for food-grass/water to complete the stages of Maturation -reproduction-mating, Birth. Ludong’s Life Cycle, which is the exact opposite to the Article written by Ms. Maria Teresa B. Banas on Nov.5, 2012 at a meeting held at the Baluate Zoological Park in Vigan City, attended by people of the Bu. of Fishery and BFAR. Folks, and my friends I submit to you (following my theory of Ludong’s Life Cycle I have proposed)… I’m not a marine biologist nor graduate of school of Fishery. I know my limitations. However, unless the people who have degree on Fish-biology, can disprove my THEORY and have a more convincing theory and challenge me that I am wrong, then I’ll continue to stand behind my theory. I have read your full research on Ludong and I find your report most comprehensive, educational and entertaining. I have a lasting memory of enjoying the Ludong fish in Manila served by an Ambassador host at his home and in Los Angeles gifted by a special friend who flew this fish direct from Manila in frozen stage to my kitchen to cook into sinigang. Would you please find time to research what happens to the life of the female Ludong after she has spawned her eggs. My guess is she dies moments after she spawns, much like what becomes of the salmons. Thank you for the enjoyment your writing has given me.